Banking on our highly advanced manufacturing unit, we hold expertise in manufacturing and supplying a wide range of Water Treatment Components that are extensively used in Water treatment Plants. Our products include various water treatment components such as FRP Vessel, Online Rotameter, RO Membrane, Multiport Valve, Micron Cartridge Filters, FRP Housing, Dosing Pump, etc. We offer FRP Membrane housing for various water treatment plants like reverse osmosis, ultra filtration and nano filtration. Our membrane housing is available with various diameter 2.5” , 4” and 8” having side-port and end-port connections. We are engaged in manufacturing and supplying of FRP vessels which are ideal for different water treatment products such as Filters, softeners and DM plants. Available with internal PE lining, these FRP vessels are provided to our clients in different capacities and with different top and bottom opening sizes. 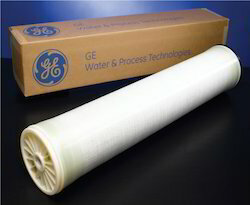 GE’s spiral wound membrane elements cross the spectrum of membrane including reverse osmosis (RO), nanofiltration (NF), ultrafiltration (UF), and microfiltration (MF). 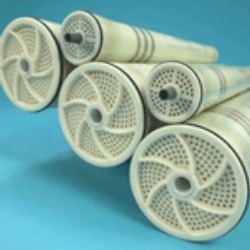 Originally designed for water desalination, spiral wound membranes are now used in a variety of applications including in the dairy industry, in manufacturing products, for high purity water and at high temperature and extreme pH conditions. GE offers membranes that are designed to meet the customers’ needs in each unique situation. 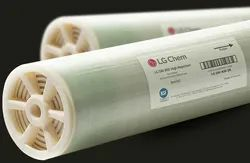 LG Chem's NanoH2O brakish water RO membranes serve various municipal and industrial applications. LG BWRO, all incorporated with innovative thin film nanocomposite (TFN) technology,is offered in industry standard configuration easily fit into existing or new RO Plants.Global clients in more than 50 countries have already experienced LG BWRO and superior quality and performance of the membranes lead to repeat customers. Banking on our highly advanced manufacturing unit, we hold expertise in manufacturing and supplying a wide range of Water Treatment Components that are extensively used in Water treatment Plants. Our products include various water treatment components such as online & by-pass type Rota meter, Membrane, Multi port Valve, various Micron Cartridge Filters along with Housing. Our dosing pumps are known for noiseless operation, low power consumption and easy to usage attributes. Our range of dosing pumps is widely used in water & waste water treatment, chemical dosing in various process industries. These dosing pumps are fabricated with high quality of raw material and ensure optimum quality to our clients. To meet the varied requirements of our clients, we can also provide these pumps on customized solutions within committed time frame. 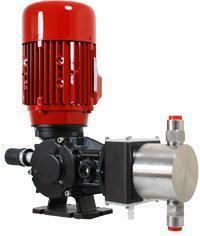 Product Range: 0.2 Litres/hour to 1,000 Litres/hour Peristatic, Electro-magnetic and motor driven pumps. We provide PP Flanged Ejectors for Softening and D.M.Plant.They are available in various sizes from ½” to 2”.It is corrosion free and long lasting product made from highly tough Polypropylene material. We are offering our clients with RO membranes which are precision engineered keeping in mind the client’s requirements. 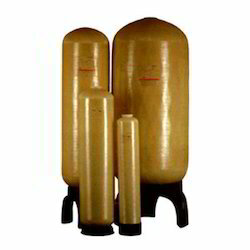 These RO Membranes are provided to our clients in customized specifications at highly competitive prices. 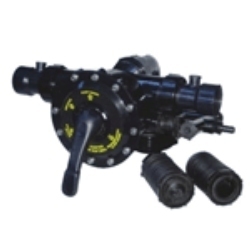 We offer multiport valves for Filter, Softner and D.M. Plant These valves are easy to operate and install.We provide multiport valve from 25 NB to 65 NB having flow capacity of 500 LPH to 30000 LPH.